Hello Dealsnloot Readers,We Are Again Back With An Amazing Cashback Offer From Freecharge. This Offer Is For Only New Users. 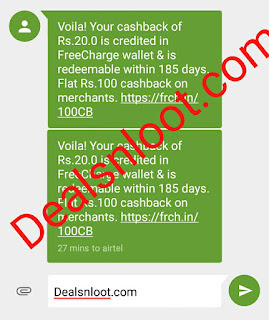 New Users Can Get 20 Rs Cashback On Recharge Of 20 Rs. This Offer Is Valid On First Recharge And You Will Get Assured Cashback Of 20 Rs. Cashback Depends On Your Luck So Just Go And Give It A Try And Also Read Terms & Conditions In The End Of Post.So Hurry !!! Grab This Offer. Note :- This Is Official Freecharge Offer as Freecharge is Giving Rs.20 Cashback on Rs.20 Two Times For All Users Including Valid on Freecharge Wallet cash Also.2 Times PerUser. 4.Now Initiate A Recharge Of Rs 20 Or More. 6.Once Your Promo Code Applied Successfully, Then Make The Payment Using “Debit/credit/Net banking” Or Freecharge Credit Balance. 7.You Will Get Upto Rs 20 Cashback To Your Freecharge Wallet Instant And Try Again Recharge With Cashback By Applying Promo. 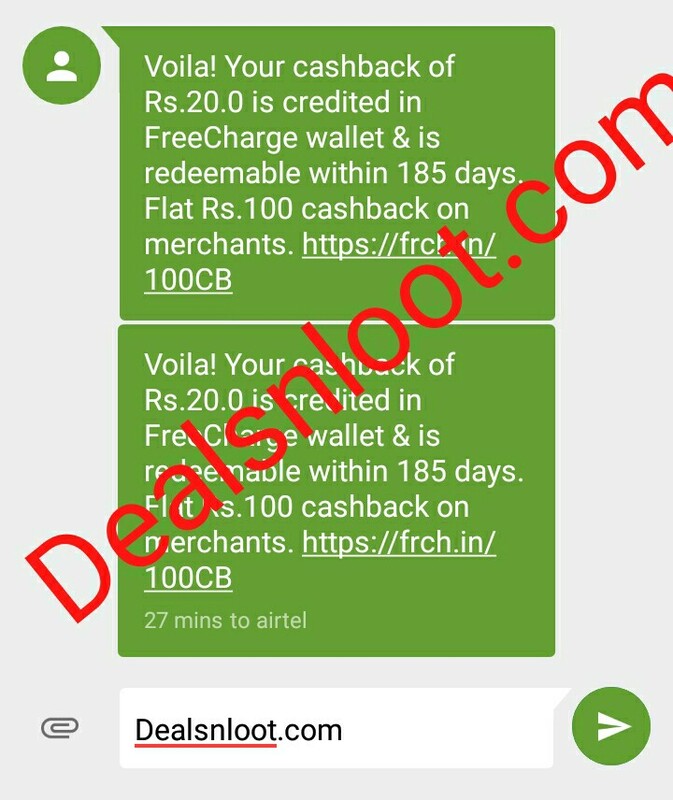 * Not valid for Airtel || App Only Offer.